The planning committee, made up of representatives from various county health organizations, for the 28th-annual Community Health Fair & Family Fun Day is excited to introduce some new offerings. This year for the event — set for Saturday, April 28 — several new attractions should assist or entertain the community. Among these new attractions include Dr. Cynthia Morris and Angela Tackett, RN, presenting educational seminars, a prescription drug disposal and a seven-foot monster coloring mural. The monster mural will be in the occupational and physical therapy classroom where FCMH therapists will be offering developmental screening for children and balance screening for adults from 10 a.m. to 1 p.m. Home Depot associates are offering a children’s workshop from 11 a.m. to noon. Traditional favorites will still be part of the day. Free health screenings include vision and hearing, blood pressure, foot care, body fat, scoliosis, skin screening, depression screening, bone density, glucose checks, and dental screening. Comprehensive blood draws are offered at a reduced rate by Fayette County Memorial Hospital (FCMH). The pre-registration form for the blood work can be found on the flyers available at many local businesses, in the Record-Herald and FCMH’s Facebook page. Pre-registration and payment should be submitted to FCMH Laboratory by Tuesday, April 24; however walk-ins will be accepted at the event. The Red Cross will be on-site conducting a blood drive; call 740-333-5186 to schedule your appointment. Gentry reminded the community to not forget the delicious food and drinks that will also be available during the event. Fertile Grounds Coffee Truck will be on site from 8 to 11 a.m. and will offer a variety of hot and cold coffee drinks. Donato’s Pizza will be available, as will “Don’s Deli” food truck with owner Denise Rhodes. Finally, Jeffersonville Charm & Farm 4-H club will be selling pulled pork and The Willow’s chicken & noodles to raise money for Adopt-A-Family. The event, which is from 8 a.m. to 2 p.m., will be held at Grace Community Church, located at 525 Glenn Ave. in Washington C.H. Peripheral Arterial Disease (PAD) Arterial blockage from plaque can also develop in the arteries of the legs resulting in reduced blood flow. This can affect the ability to walk, if severe enough, could result in a risk of amputation. AAA and Carotid Artery Screening – For these tests you will lie on your back on an exam table. The Vascular Sonographer will apply a small amount of clear gel to your abdomen and/or neck. An ultrasound transducer is moved painlessly over the area to acquire images and assess blood flow. For the abdominal aortic screening we ask that you fast for six hours prior to your test, and eat a light meal the night before. You may take your medications with water. For the carotid artery test there is no preparation needed, just wear a loose open-collar shirt or blouse. PAD Screen – For this test you will lie on your back on an exam table. The Vascular Sonographer will use blood pressure cuffs and a special Doppler ultrasound transducer to measure the pressures in each arm, and in the arteries of both ankles. A mathematic calculation of these pressures will suggest the presence or absence of significant arterial blockage. 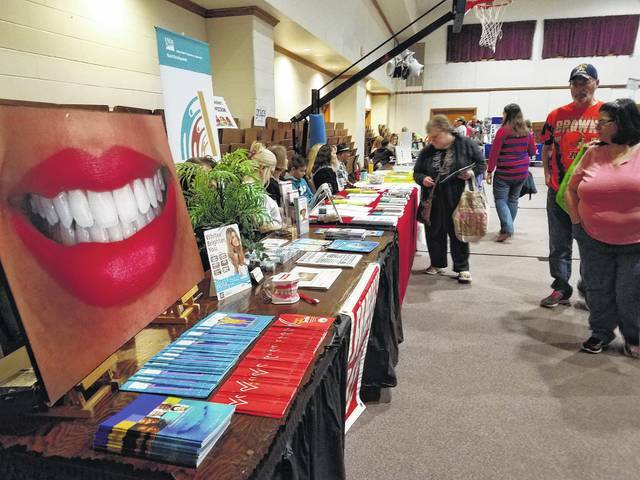 Watch for more information about the Health Fair in the Record-Herald. The information in this article was provided by the Fayette County Memorial Hospital.